We won superb Blackacre Farm eggs! I entered a competition run by the very excellent Blackacre Farm, producers of fine free-range eggs. And won! 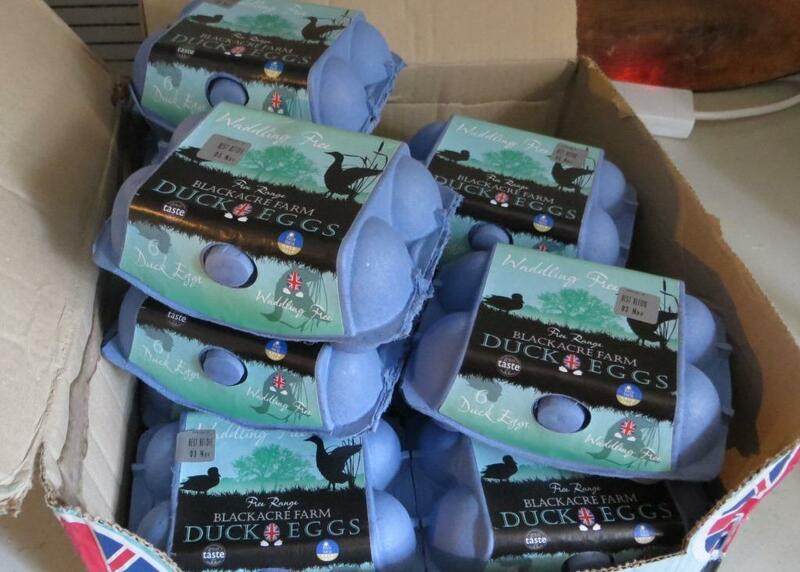 The prize was a very generous six dozen “Waddling Free” duck eggs.